Few things in life bring out the raw emotion seen in sports and love of country. Luckily, every four years we can unite these two things in ice hockey at the Winter Olympics. A few months back Ryan and I talked about how fun it was to watch the Olympics online in 2010 with friends from the United States and in Canada. We also talked about what might happen this year if Team USA and Team Canada met for a rematch in Sochi. We joked with each other and provided some friendly trash talk. We also said if the matchup came about that we would have to put something on the line for a friendly Olympic bet. 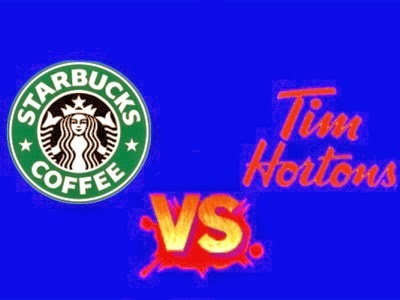 While Ryan has a great love for steeped tea from Tim Hortons, I tend to prefer the Caramel Macchiato from Starbucks. From this, the Olympic bet was born. So, if Team USA wins tomorrow, Ryan will be sending me a Starbucks gift card, and if Team Canada wins, I'll be shipping a Tim Horton's gift card his way. So now it is your turn. We want to hear from you. Who's side are you on for our friendly wager? Do you have any wagers going on with your friends? What plans do you all have for the Olympic game tomorrow? We have seen everything from getting up at 7 to go to the bars to tailgating in the morning before the game is on television. 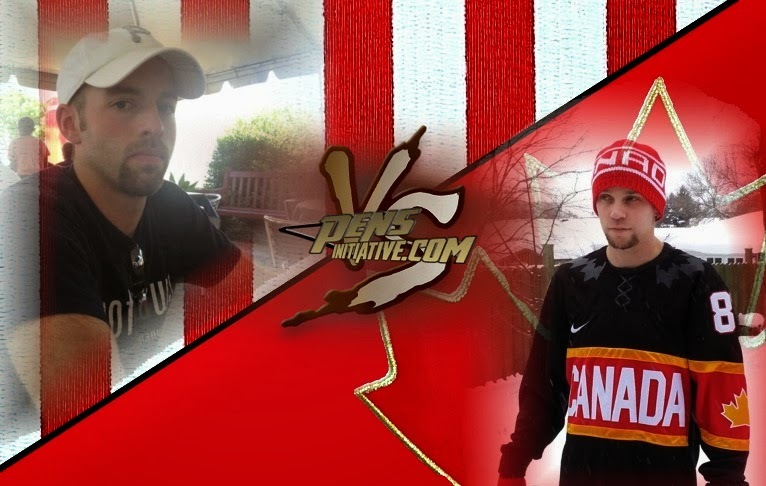 Use the hashtag #PensInitiativeOlympicBet and sound off now, or leave us a comment below. Whatever happens tomorrow, remember to have fun and not forget we are only enemies for a few hours and we are all Pens fans at heart!